Christian Abortionist? Is there such a thing? Diane Derzis who runs the Jackson Women’s Health Organization abortion clinic in Mississippi and another in Alabama, told ABC news, “ I Know as fervently as they do that what I’m doing is moral and right, but if I’m wrong, that’s between the Lord and I. ” – abortion clinic chain owner Diane Derzis. 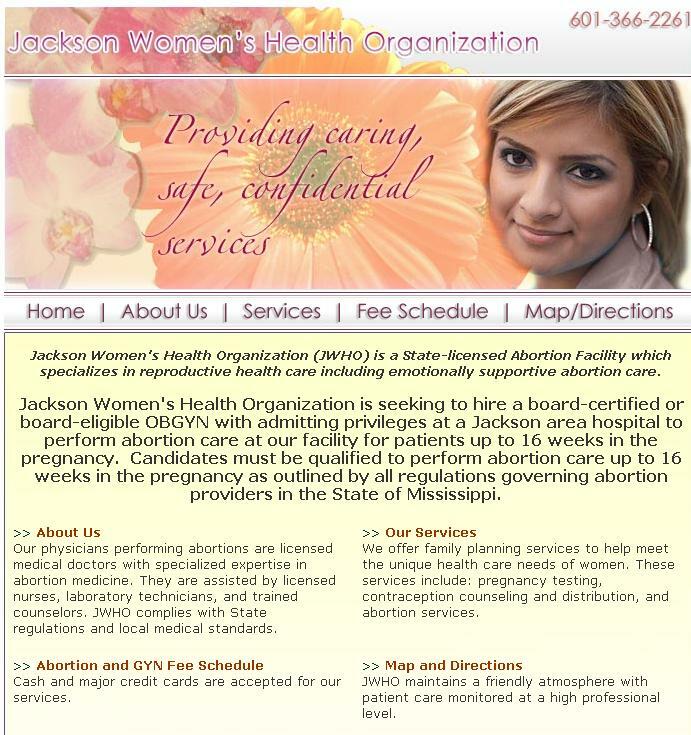 Diane Derzis owner of the Mississippi abortion clinic also runs a shoddy abortion clinic in Alabama. DID YOU HEAR THAT ABC? You failed to report that FACT! The report ultimately led to the revocation of clinic owner, Diane Derzis’, license to operate the facility and in May 2012 the abortion clinic was closed down. Ms. Derzis teamed up with long time friend Kelley Rainwater to strike a deal that would allow Rainwater to serve as a straw person running the clinic for Derzis. But….on February 8, 2013, the ADPH confirmed that Ms. Rainwater’s application was denied. Derzies is fighting to stay open at her abortion clinic in Mississippi which is being defended by pro-abortion groups despite the conditions of her clinic in Alabama. She has also been granted a pass by a judge in the closing of her Alabama abortion clinic. 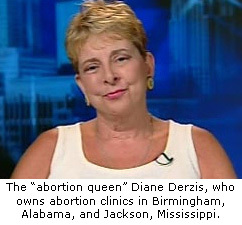 ABC’s Nightline, just days ago, went to Mississippi’s sole abortion mill owned by the ever wealthy Diane Derzis. 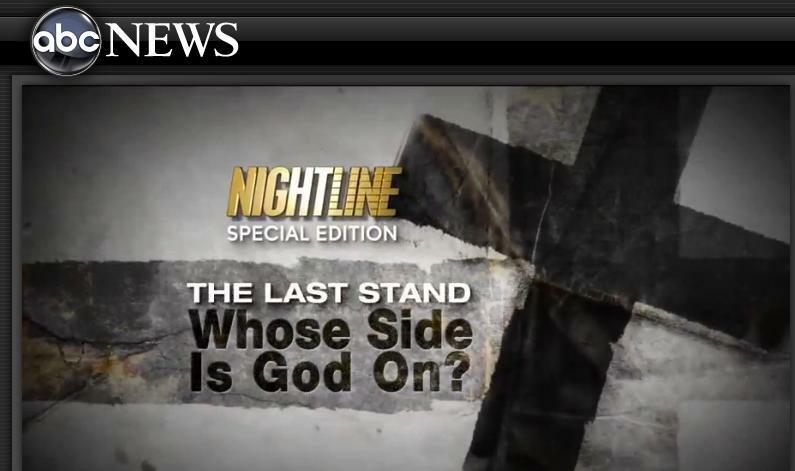 Nightline spent 72 hours, they claim, inside the abortion mill. But apparently what actually happens INSIDE the building isn’t part of the story. Nightline didn’t show an abortion, didn’t show a mutilated baby’s body parts being counted, didn’t show biohazard waste bags filled with dead babies or any part of the act that has killed 55 million since Roe. Instead, Nightline touted the cute bubble-gum pink color of the exterior of the building and drove around in Diane Derzis’ gas guzzling, “global warming”-inducing Hummer. (Apparently, pro-climate control ABC was okay with that since Derzis’ offset her “carbon footprint” by eliminating thousands of other footprints.) They could’ve asked why her other clinic in Birmingham, Alabama was closed down. They could’ve asked why the State issued 76 pages of health code violations (h/t Operation Rescue’s abortiondocs.org) on her clinic and forbade her from ever owning a clinic in Birmingham, Alabama again. But they didn’t. ABC’s Nightline also depicted the abortionist who travels to Mississippi’s lone abortion mill as some kind of charitable doctor. 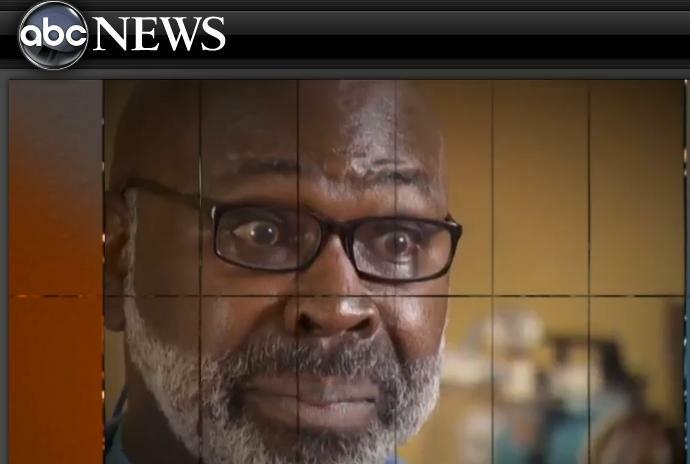 ABC fails to mention that Dr. Willie Parker is the highly paid late-term abortionist and Medical Director of Planned Parenthood of Metropolitan Washington. 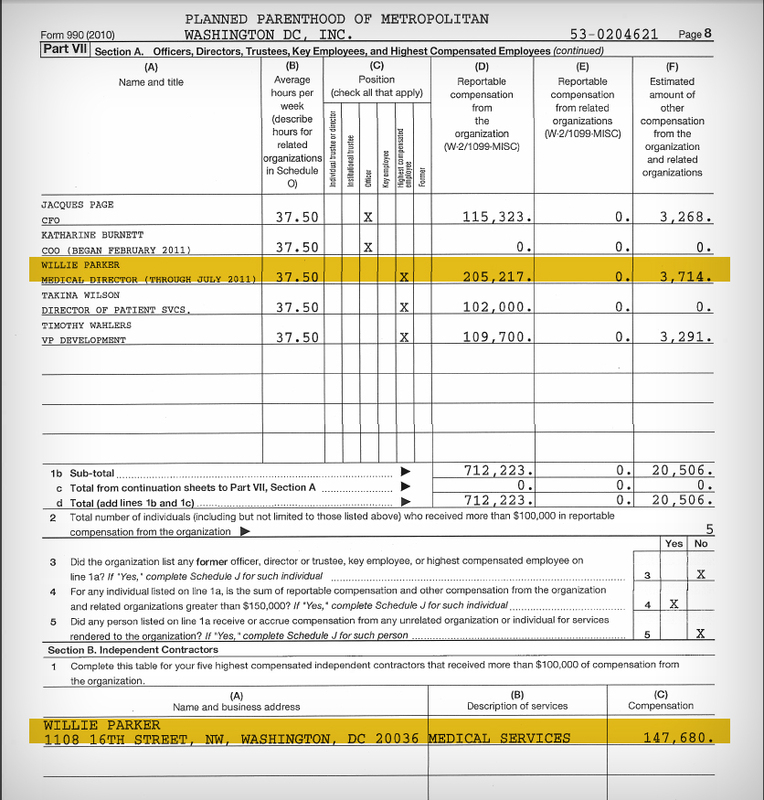 He’s paid $356,000 by Planned Parenthood for just the abortions he commits at DC’s main abortion center. (Abortion is still legal throughout the entire pregnancy in DC.) Instead, ABC portrays Parker as a compassionate man from Alabama, with a “deep evangelical faith”, just trying to bring comfort to women, instead of the abortionist who is paid as a subcontractor to travel to several states to abort children and pretend to be a woman’s personal physician. Sadly, the American public suffers from systematic misinformation by an institution that should be telling the truth, but chooses, instead, to tell us lies. 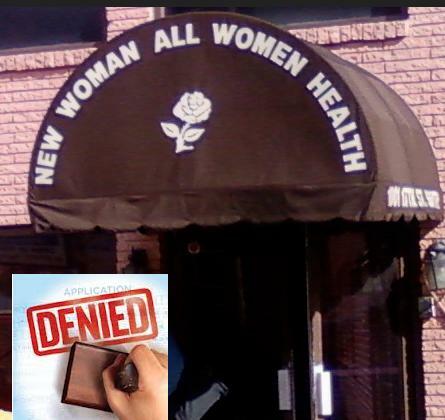 This entry was posted on August 1, 2013 at 3:29 pm and is filed under Abortion Clinic Closed, Abortion clinic closed by state, Abortion clinic dirty, Abortion Clinic Inspections, abortion clinic safety, Abortion Clinic Worders, Abortion complication, Abortion injury, Abortionist with tags ABC, Abortion, Abortion clinic, Alabama, Christianity, Diane Derzis, God, Jackson Women's Health Organization, Media Bias, Mississippi, New Woman All Women, Nightline, Ryan Bomberger, Willie Parker. You can follow any responses to this entry through the RSS 2.0 feed. You can leave a response, or trackback from your own site.